Desperately Searching For Climate Warming Worldwide…None Found In China, Alaska, USA, Or Canada! Browse: Home / 2013 / October / 28 / Desperately Searching For Climate Warming Worldwide…None Found In China, Alaska, USA, Or Canada! In mid October 2013 a temperature reconstruction of the last 250 years based on tree rings from northeast China appeared in the journal of Palaeogeography, Palaeoclimatology, Palaeoecology. Recorded were the values for the time period of May-June, i.e. late spring and early summer. A Chinese team of scientists led by Yu Liu discovered that the temperatures in the pre-industrial time from 1745-1900 was rather stable. But since the beginning of the 20th century, the temperatures in the region of study began to cool. As a result today the region is about 1°C colder than it was 100 years ago. Figure 1: Development of the May-June temperatures in Northeast China since 1745. A cooling trend began in 1900. Source: Liu et al. 2013. Now let’s take a look at Alaska. How have temperatures there developed over the last years and decades? The Arctic is supposedly warming up faster and faster and we are all supposed to be in a state of alarm over this. But a look at the temperature curve of the last 60 years delivers a surprise (Figure 2). Already at the end of the 1970s temperatures were surging upwards and stayed at a high level until 2005. But since then the curve has fallen dramatically. Alaska has been only cooling for the last 8 years. The temperature development there is closely coupled to the Pacific Decadal Oscillation (PDO). 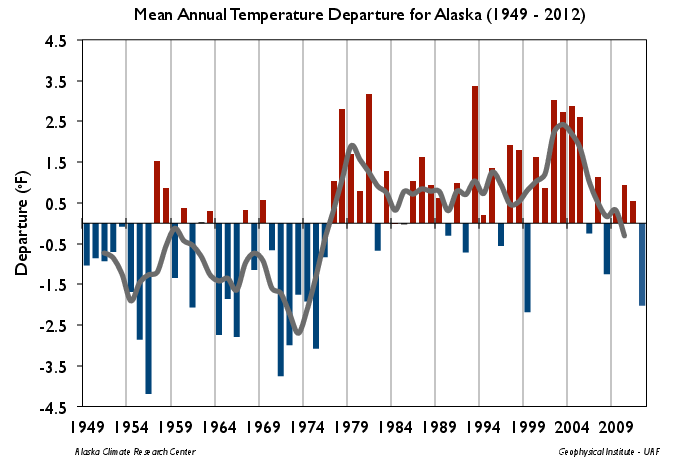 Figure 2: Temperature development of Alaska for the last 60 years. Source: The Alaska Climate Research Center. Moreover some scientists are now wondering why many rivers on the US west coast have been cooling significantly over the last few years. What could the cause of this be, especially at a time when things are supposed to be getting warmer? Also the temperature development for the USA for the last 110 years is showing a puzzling trend: Somehow over the long-term it just hasn’t gotten warmer? Already back in the 1930s and 40s it was just as warm as it is today (Figure 3). 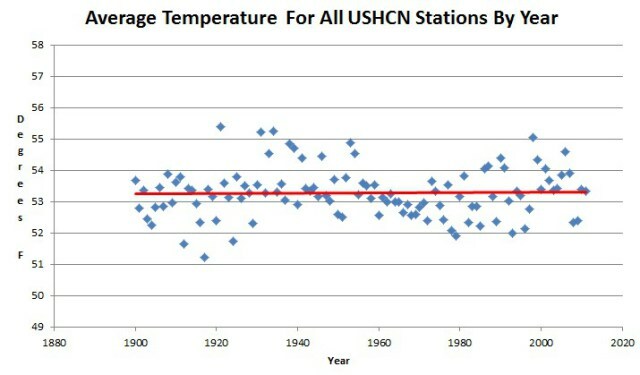 Figure 3: Temperature development of the der USA based on USHCN data. Also some interesting findings about the temperature history in Canadian British Columbia have become known. Based on tree-rings, scientists have reconstructed the temperature development for the last 800 years for the summer months of June/July (Figure 4). Here it can be observed that the 1940s were warmer than today. Also in the earlier centuries there were phases when it was warmer than today. 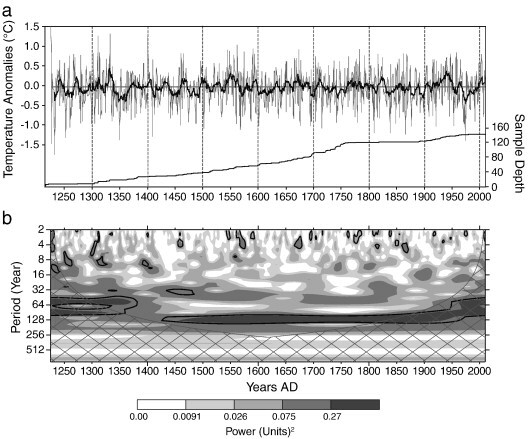 Figure 4: Temperature development for the last 800 years based on tree rings. Source: Pitman & Smith 2012. Again, Pierre, thank you for bring this to our attention. I have amassed a large number of posts from various websites that provide information consistent with a global cooling trend (two of the latest from Steve Goddard: http://stevengoddard.wordpress.com/2013/10/28/us-temperatures-declining-for-80-years-19th-coolest-january-october-since-1930/ and http://stevengoddard.wordpress.com/2013/10/28/us-has-half-as-many-100-degree-days-as-it-did-eighty-years-ago/ ). From these and from analyses such as that you provided here, I am convinced that, at the least, the world is NOT warming. Rather, it is cooling, the only question being the extent and duration given the changes in ocean currents (AO, AMO, NAO, PDO, etc) and solar activity. When will the idiots who support CAGW wake up to the fact that they may get a level of cooling they cannot control, do not want, and may be lethal for many? When will they begin to address the energy requirements that will be needed? Back to the headlines of the 1970s! My copy of The Neglected Sun arrived today; pass on the good news of its availability to other US readers. I posted this in response to someone worried about Spring skiing conditions at Whistler Blackcombe and “global warming”. Much has been reported about bush fires in NSW Australia. Blamed on Global Warming of course yet ignoring the three years of above average rain which led to a dangerous build up of fuel. Fuel which the Greens fight to stop others from cool burning. The Greens are very big on blaming AGW when their policies are really the culprit. But whilst Sydney and environs burn, further west crops of wheat are being diminished by late frosts. The warmers point to a warmer than usual October in NSW while keeping quiet about the record cold in Victoria some 600 kms away. The alarmists are very vocal and of course the MSM give them full rein yet more and more people question the concept of AGW and our new adult government is dismantling the Climate trough.